They say never meet your heroes, for they will disappoint you. Well true believers, I'm here to tell you that I met one of my all time four-wheeled heroes at Wheels Day for the very first time, and the reality exceeded the expectation. Revenge was only Nick Butler's second rod (the first being Nykilodeon), built over the winter of 1975/1976. 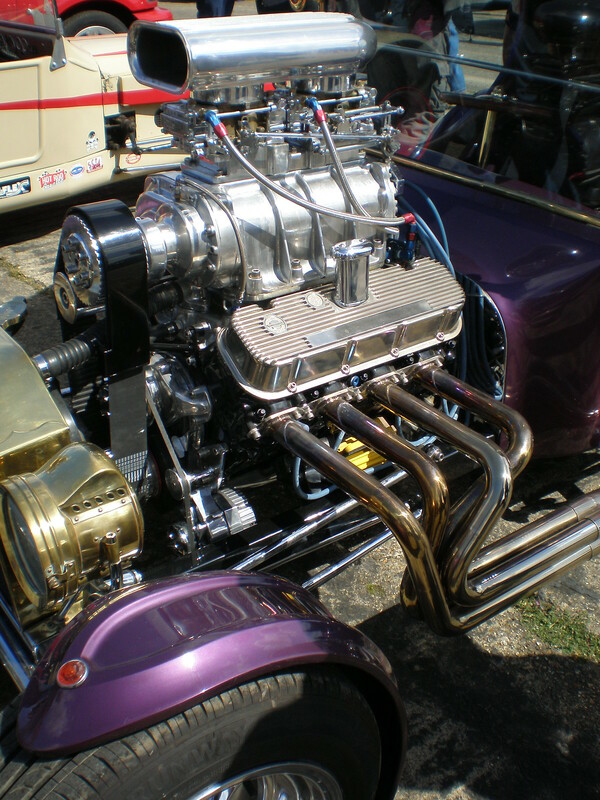 To say it turned the hot rodding scene upside down in the UK is an understatement; it cleared up every award it was eligible for at the first few shows it appeared at and can quite legitimately be judged on the same level as the top American cars of the time. 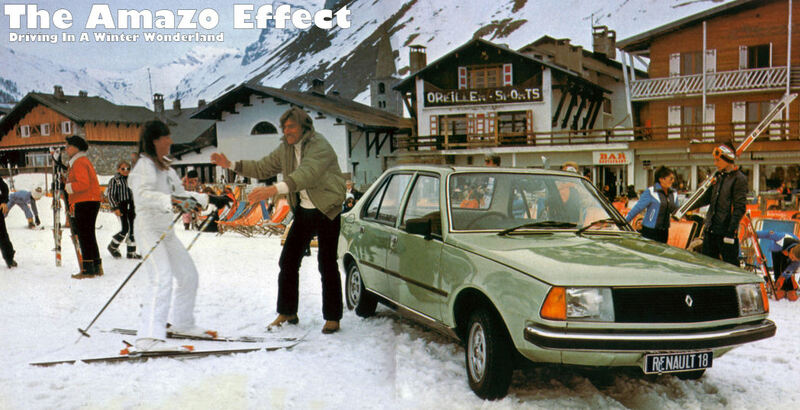 It also raised the bar for every British rod that followed it; cars such as Small Fry, the Invader Bedford CF and Ray Bennis' TR7 may never quite have existed in the form they took had Revenge not been built. So what makes Revenge such a landmark car? Well for starters, that body. The C-cab style was nothing new; Ford produced a 'delivery car' in 1912, affectionately nicknamed the pie wagon. It has the distinctive 'c' shaped roof for ease of access, a style that was then reproduced (and parodied) in fibreglass bodies in the States in the 60's. But Nick's interpretation is just so perfectly proportioned, surely a legacy of his training as an airframe engineer at Hawker-Siddley. 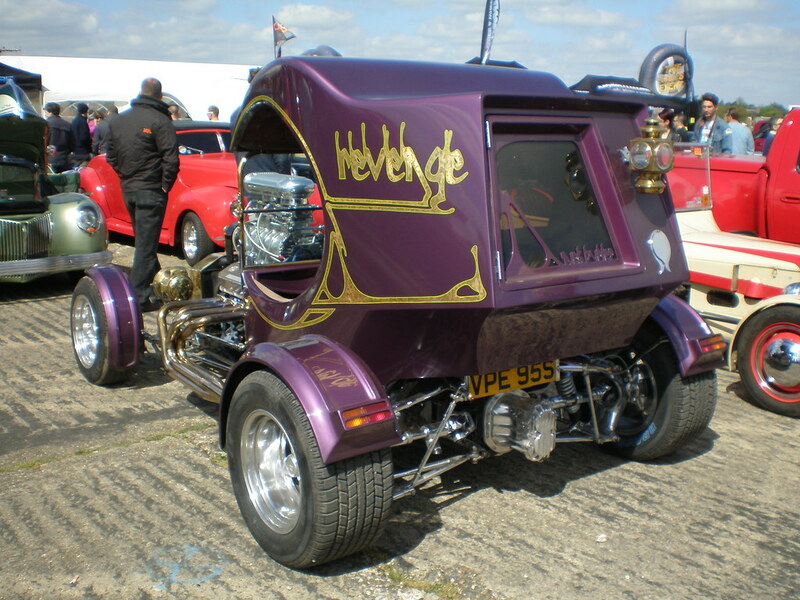 The bare bodies were produced for sale on the back of Revenge's success and several have been built, in the UK and US. 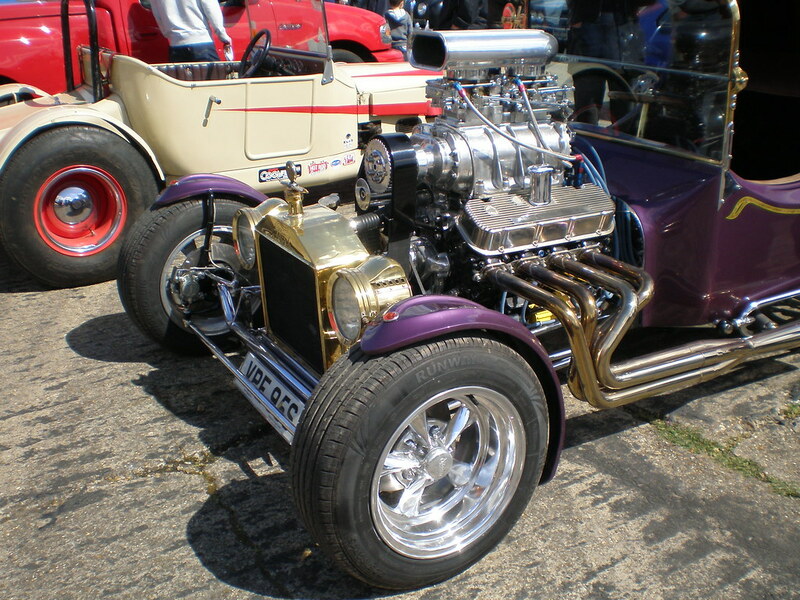 It's surely a no-brainer that Nick scratch-built the chassis, not just because of his skill, but also that the 70's rodding scene in the UK just didn't have ready-to-buy chassis, with the honorable exception of Jeff Jago. 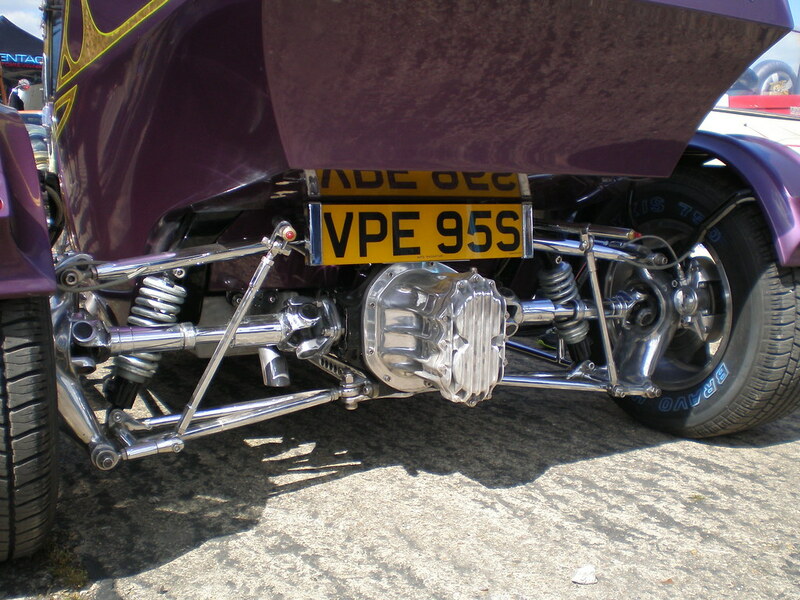 The suspension mounted to it was another example of Nick's talent; the drop tube front axle is located by a four-link arrangement and lower links from the chassis to the axle, with a small set of dampers. 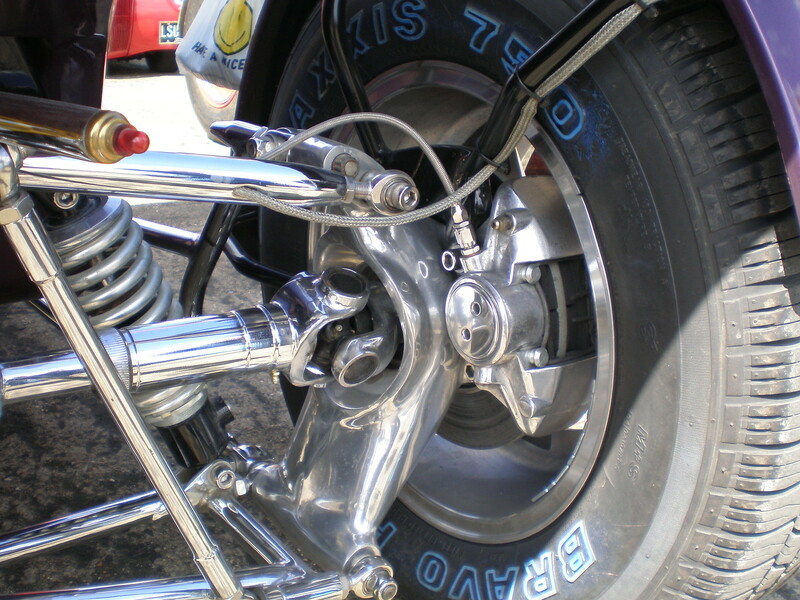 The rear suspension is based around an E-Type Jaguar differential and Mclaren M23 hub carriers, reversed lower wishbones, adjustable top links, and dual trailing links. 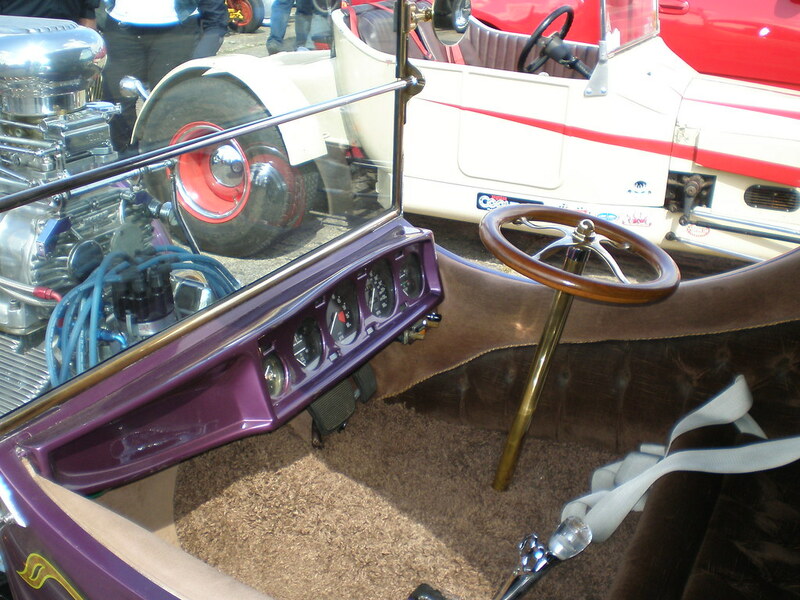 Due to the light weight, only two of the four E-Type springs and dampers were used. 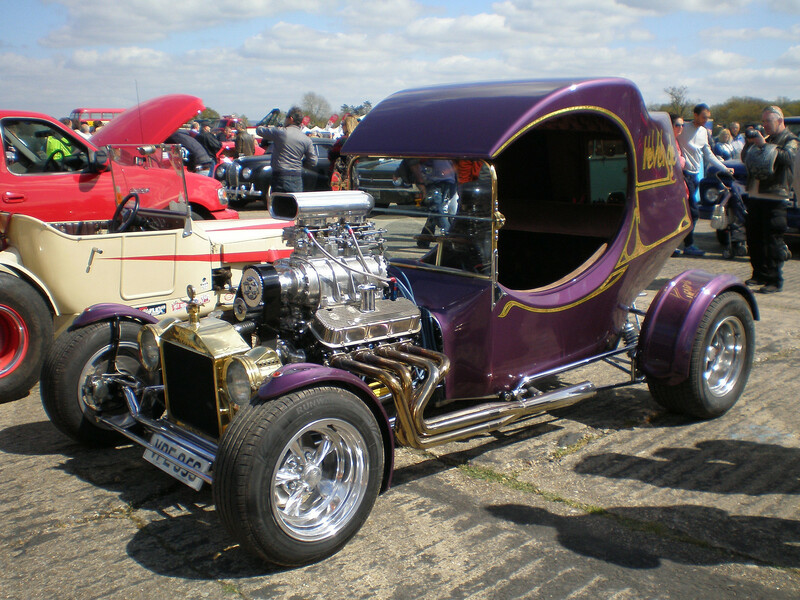 Revenge was originally painted dark green, then dark blue and now the current owner (Roger Fulker) has restored the car with the purple colour seen here; he decided to rebuild the car with the colour Nick first intended, and Nick has commented on his Auto Imagination website that Roger's attention to detail has made the car even better. 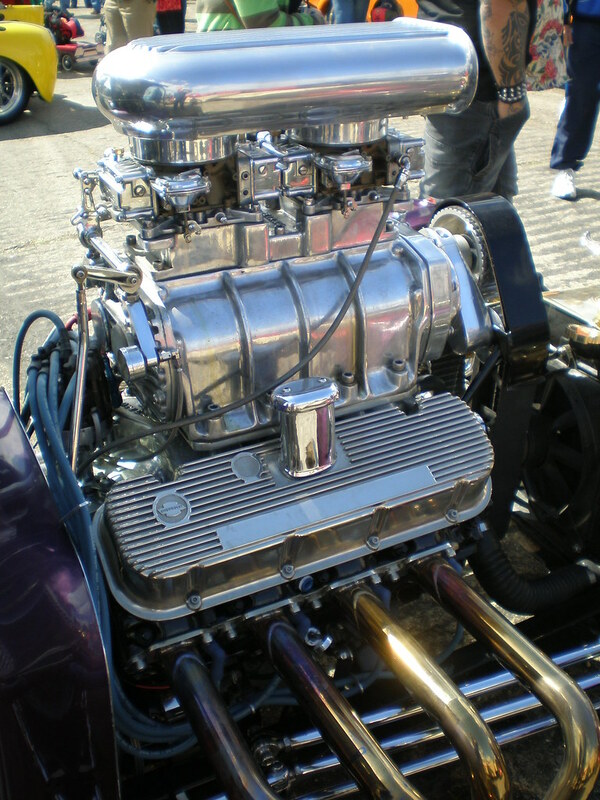 And having finally had the chance to meet my hot rod hero in person, I can well believe that. Wheels Day Week 2014 - The Last?